Aviary just launched a web-based audio editing application called Myna, and it’s honestly the first one I’ve tried that I would actually consider using. 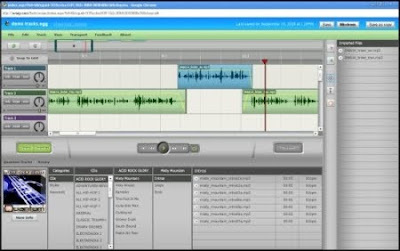 It’s free, works from any web browser, and lets you upload, record, edit, and mix audio in multitrack sessions. I’ve written up a more detailed overview for Download Squad. In other news, Avid came out with a consumer oriented version of Pro Tools this month called Pro Tools M-Powered Essential. Like other Pro Tools software, you need to purchase hardware in order to use the application. But Pro Tools M-Powered Essential will only set you back between $99 and $129, because the company offers it with relatively inexpensive hardware including a USB microphone, a guitar input, or a 49-note keyboard.